Welcome to Wisdom industrial Power Co., Ltd.
A lithium iron battery is a lithium ion battery which uses iron phosphate (LiFePO4) as cathode material. But first, we must understand what a lithium battery is to get a better idea of the advantages of a LiFePo4 battery. Lithium-ion batteries (or simply lithium batteries) are batteries which use lithium based material as a cathode and a variety of other materials (most commonly graphite) as anode. These batteries are commonly found in portable devices, such as cellphones, digital cameras, and others due to its light weight, small form factor and long battery life. Lithium batteries have the advantage of using lithium, which is the element that is most easily oxidized. It means that it can easily give up an electron, which is then used by the circuit to power itself. The easier electrons are taken from a battery, the more efficient it becomes, hence accounting for its longevity. In addition, lithium is the lightest known metal, therefore it allows for portability and the material can be shaped easily. Lithium by itself cannot be used as cathode, since it is so reactive that it would immediately form a salt with non-metals in the environment. This is most aptly demonstrated by the fact that lithium cannot be found in native form or in elemental form in nature. More commonly, it is found in the form of lithium chloride and other halide salts. In addition, native lithium spontaneously ignites and even reacts violently with water, necessitating its storage under oil. This means that lithium compounds must be used in order to have lithium as cathode. These compounds must produce ions upon decomposition and must have an easily reversible reaction for it to be used as a rechargeable battery. One good example of a lithium compound used is lithium iron phosphate (LI). LI batteries were developed at the University of Texas in 1996 as a cheap way of creating lithium batteries. It is cheap since lithium's "partner", iron is relatively more abundant compared to other metals being used to make lithium compounds for batteries. It has the advantage of having a slower discharge rate among lithium batteries, which means increased shelf-life. As can be observed, the reaction produces lithium ions, and iron (III) phosphate (FePO4). Iron (III) phosphate or Ferric Phosphate is non-toxic unlike the other form which is iron (II) phosphate (Fe3(PO4)2). In fact, ferric phosphate is used as an iron supplement for humans, demonstrating it is safe for human consumption. This is the main reason why lithium iron phosphate is preferred over other lithium-based batteries. 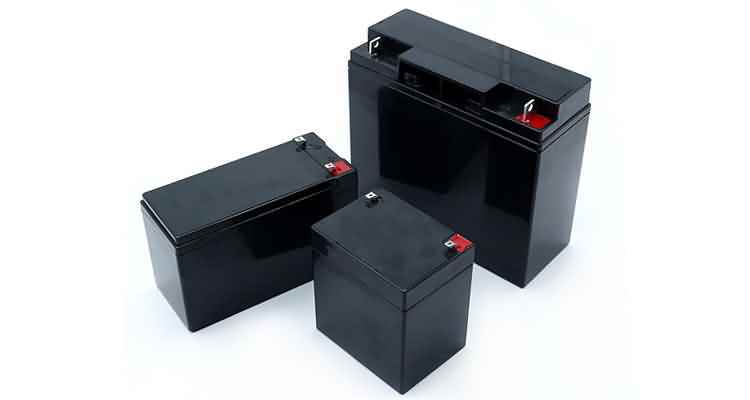 Other lithium-ion batteries, such as the more common lithium-cobalt batteries, produce more toxic cobalt oxide compounds. Are you interested in Lithium Iron Phosphate Batteries? Check out the LiFePO4 battery [http://www.lithium-battery-factory.com] supplier for non-toxic and long shelf life batteries.